Insurance marketplace EverQuote, developer of the safe-driving application EverDrive, has found that users of an Apple “do not disturb” feature decreased their phone use while driving. EverQuote gathered data on the impact of Apple’s Do Not Disturb (DND) While Driving feature from its community of more than 500,000 EverDrive users. Results of the survey showed that 70% of EverDrive iPhone users kept the DND While Driving feature enabled following its release. Between September 19, when the feature was released, and October 25, those users showed an 8% decrease in phone use while driving, EverQuote reported. 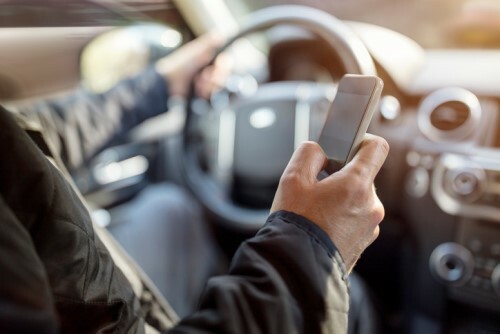 “This data is an exciting indication that the very same technology platforms that can facilitate distractions while driving can be used to address those issues, given the right features and encouragement to use them,” said Tom Revesz, chief technology officer for EverQuote. The survey also found that many people didn’t know their mobile devices could help lessen distractions while they drove; 41% did not know that their phones had a DND While Driving feature. Of those who did, however, 75% said they believed the feature made them better drivers.